Kylie Jenner 'sometimes cries' when she sees Jordyn Woods and her matching tattoo which determines their friendship. 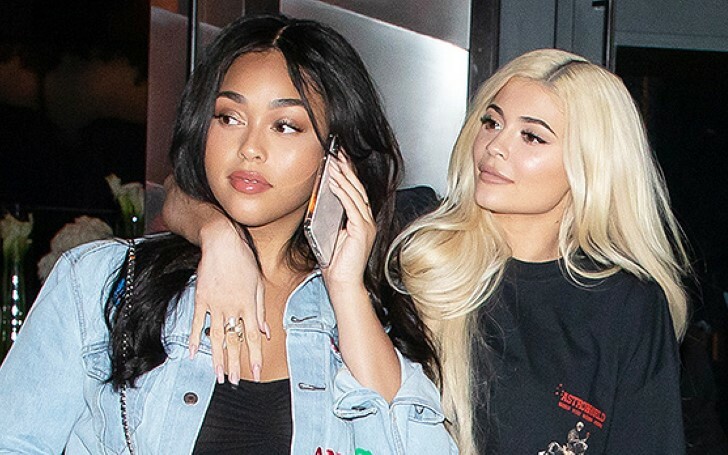 For those of you are unfamiliar with the longtime BFF's and business partners Kylie Jenner and Jordyn Woods, well the two ended their strong sisterhood bond after Jordyn cheated on Kylie's Sister Khole Kardashian boyfriend Tristan. Kylie and Jordyn may no longer live together but they hold their longtime memories inked on their fingers. 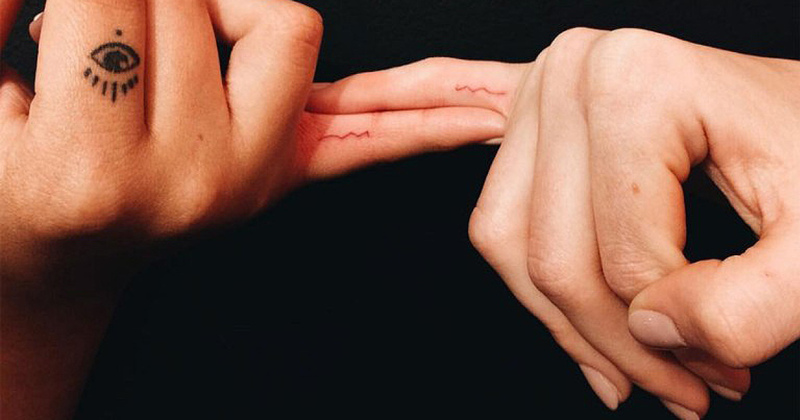 Both 21 years old, inked their pinkies with a red heartline indicating their strong bond back in May 2016 which is bringing bittersweet memories to the self-made young billionaire and CEO of Kylie Cosmetics. Longtime BFF'S Kylie Jenner and Jordyn Woods friendship tattoo. A source close to Kylie revealed, "Kylie is still devastated and heartbroken over the split of her friendship with Jordyn. She misses her bestie and has been thinking a lot about her lately. Kylie stares at her matching friendship tattoo that they got together and sometimes cries a little remembering all the good times they shared." While the ink could easily be covered, Kylie’s still holding out hope before heading to the tattoo parlor. The source continued, "Kylie is not ready to have the tattoo removed because she doesn’t want to accept that it's all over between her and Jordyn." Instead, she is hoping that in time, once Khloe [Kardashian] has a chance to get over everything, she and Jordyn can be close again. Jordyn Woods and Kylie Jenner are longtime friends since their school days. Khloe was furious after Jordyn’s interview on Red Table Talk aired on March 1, during which she said Khloe’s ex, Tristan Thompson, 28, kissed her at his house party on Feb. 17. The model denied that she’s responsible for their breakup, however, and Khloe tweeted that her little sister’s best friend was “lying.” Kylie, meanwhile, has remained silent on the scandal, and for a specific reason. Well being friends from school, sharing all the good and bad memories and living together for years, they share a special bond and just cutting off each other is very difficult and frustrating. There is nothing but her love and sisterhood that is holding her back from removing the tattoo and deep down inside, maybe she still hopes that they could be friends again and the scandal didn't happen, who knows? So guys what do you think about it?